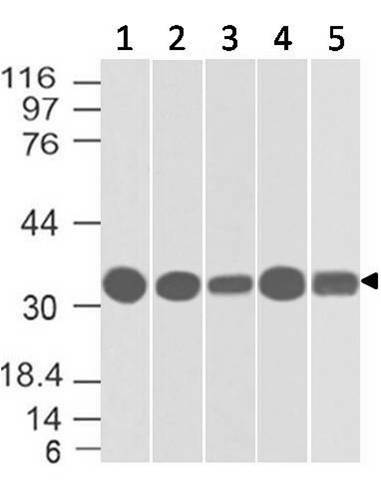 Fig:1 Western blot analysis of Bcl-X using 20-1030. 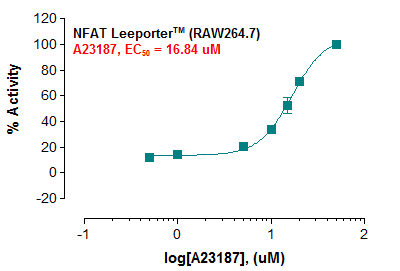 Lane 1. lysates from isolated rat liver mitochondria. Lanes 2-4. rat brain tissue lysates: cortex (lane 2), basal ganglia (lane 3), and cerebellum (lane 4). 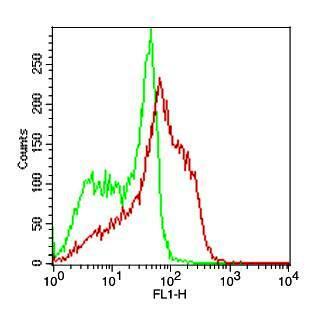 The antibody detected Bcl-XL at ~30 kDa. The Bcl-2 family of apoptosis-related genes plays central roles in regulating apoptotic pathways (reviewed in Thomadaki and Scorilas, 2006). 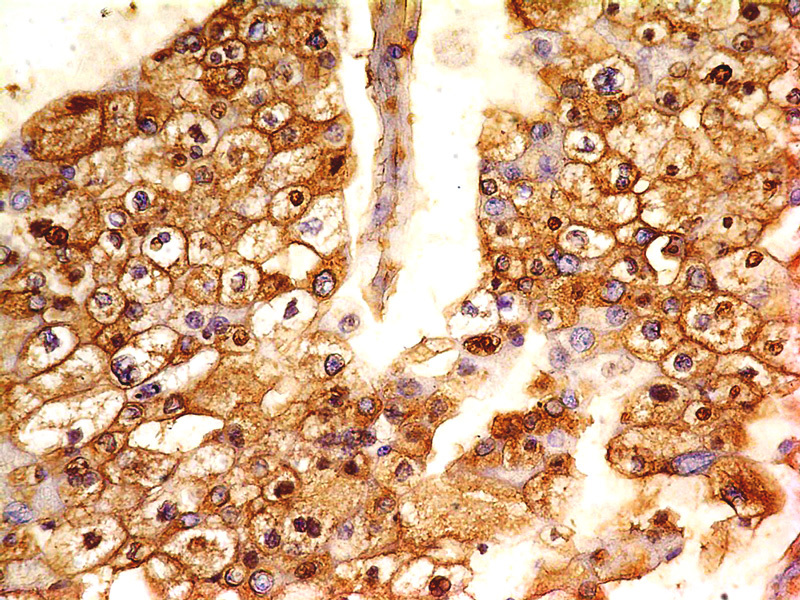 Regulation of cell death through apoptosis is critical for the maintenance of homeostasis, defense against infectious agents, and normal development. 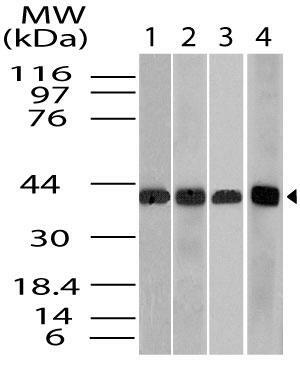 Bcl-2 family proteins regulate apoptosis primarily through the regulation of mitochondrial outer membrane permeability. In mammals, the family consists of both prosurvival (antiapoptotic) and proapoptotic (prodeath) members. Cellular homeostasis is thought to be dependent on a balance between the actions of prosurvival and proapoptotic proteins. 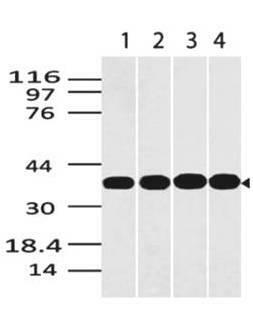 Bcl-2 family proteins can be divided into 3 main subfamilies on the basis of their function and the content of their Bcl-2 homology (BH) domains, for example: 1) Prosurvival: Bcl-2, Bcl-XL, Bcl-W, A1, and Mcl-1 2) Proapoptotic (multidomain): Bax, Bak, and Bok. 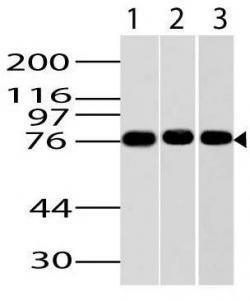 3) BH3-only (proapoptotic): Bad, Bcl-XS, Bid, Bik, Bim, Blk, Bmf, Bnip, Noxa, and Puma. Prosurvival members inhibit cells from undergoing apoptosis, whereas proapoptotic and BH3-only subfamily members promote apoptosis. 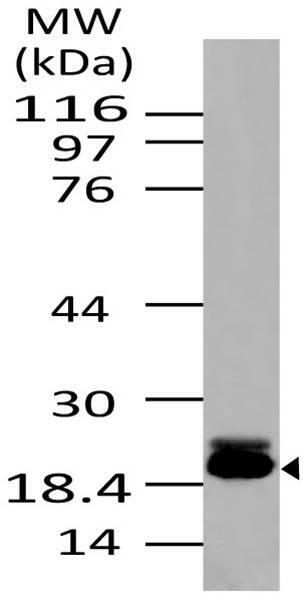 There are 4 BH domains (1-4) conserved among Bcl-2 family proteins. 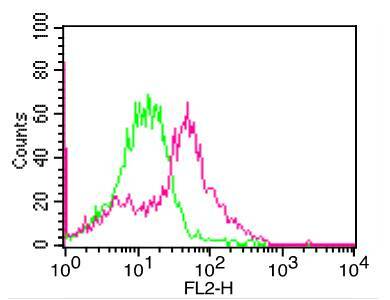 The BH domains are important for function as well as for heterodimerization between family members. Typical prosurvival family members have all four BH domains (1-4), whereas proapoptotic (multidomain) members have BH1, 2 and 3 domains and BH3-only members have only the BH3 domain. 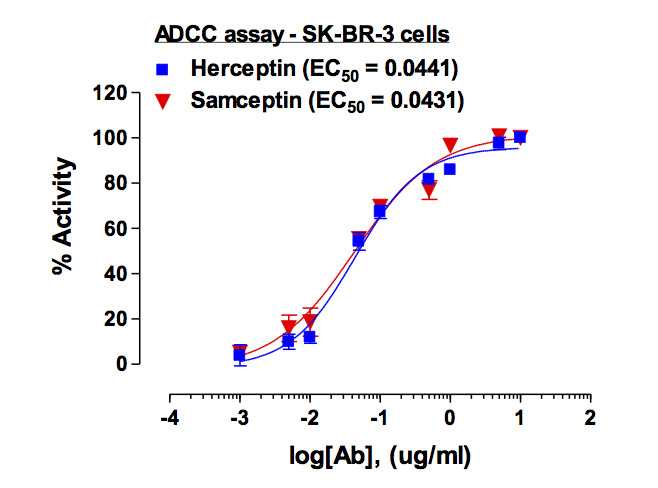 Overall, the relative ratio of prosurvival and proapoptotic proteins determines the suseptibility of a cell to various apoptotic stimuli. 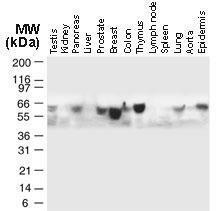 Many Bcl-2 family proteins are differentially expressed in various malignancies and some are useful prognostic biomarkers. Prosurvival proteins are often elevated in diverse cancers and have the potential to confer resistance to both endogenous cell death stimuli and cancer treatments. 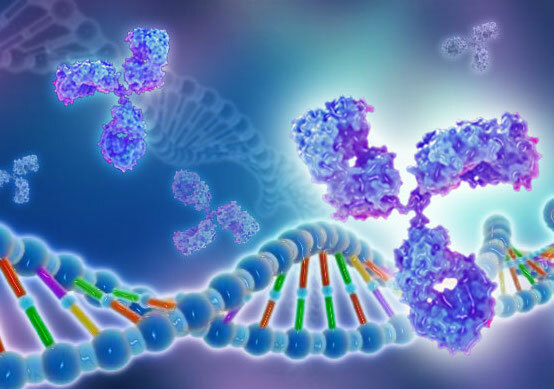 Alterations in the ratio or levels of Bcl-2 family proteins have been also associated with nonmalignant diseases including neurodegenerative diseases, autoimmune diseases, AIDs, Down's syndrome, cardiovascular diseases, diabetes, glomerulonephritis, and muscular dystrophy. 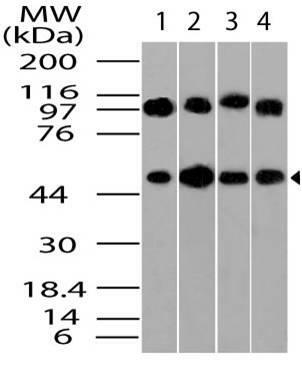 This antibody recognizes Bcl-XL and Bcl-XS. 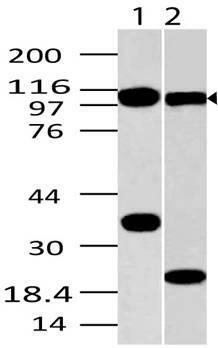 Human Bcl-XL is a 233 amino acid protein.